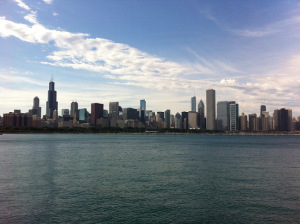 I’ve just returned from a great weekend trip in Chicago. The reason for the trip was to celebrate a good friend’s bachelor party, and while I am bound by the bro-code to not share any details of the trip, I thought I should share my thoughts on this classic American city that is definitely well worth a visit! And for any girlfriends, fiancées or wives who may read this, everyone was well behaved, and had a fantastic time! 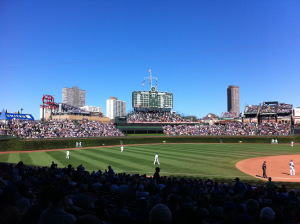 One the main reasons Chicago was chosen as the location of this bachelor party is the fact that is such a big sports town. Over the weekend we attended a baseball game at historic Wrigley Field (100 years old this year), and a football game at the recently renovated but still iconic Soldier Field.